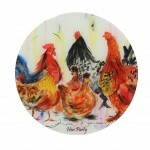 The glass serving platters/table protectors are heat resistant to 260°C and priced at £23.00. 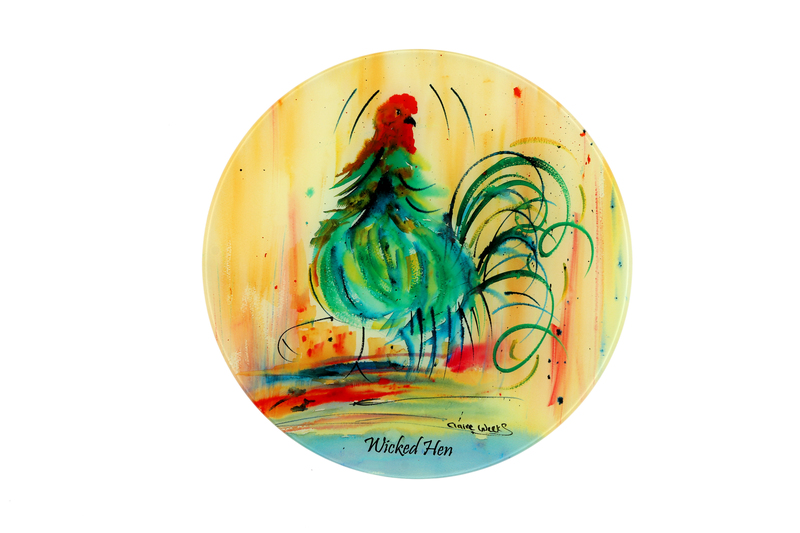 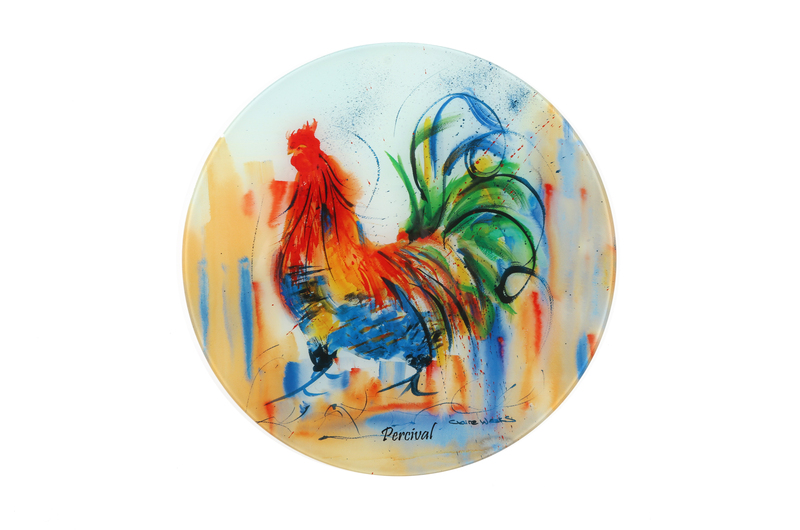 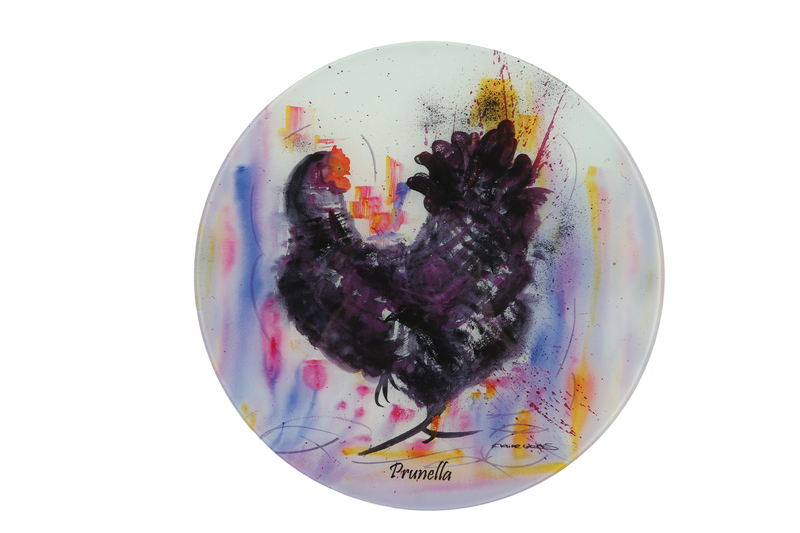 Claire’s round glass platters are 12″/30cm in diameter and finished in a smooth finish. 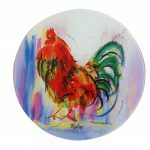 Very versatile for hot dishes straight from the oven, cheeseboards, cake stands, pizza, quiches, chopping boards or just a colourful centre piece for your table. 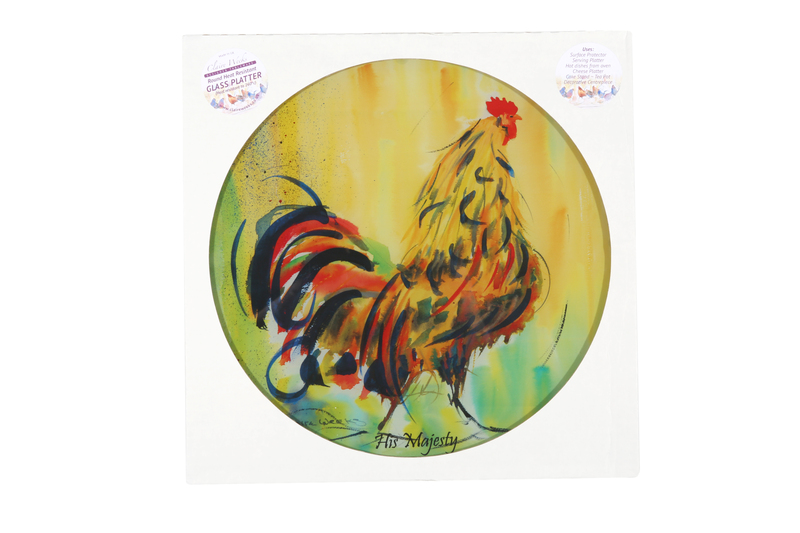 They also make lovely glass place mats.